A compact fuzz that delivers Big Muff sounds with ease. An EarthQuacker Devices Hoof can be seen at 10:29 in this video. 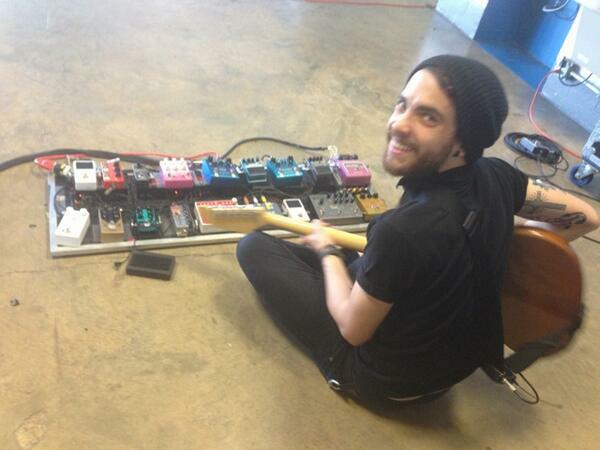 This picture shows that Taylor uses a EarthQuaker Devices Hoof. "I’m building a board for [Dirt Wizard]. I think it’s just gonna be a Hoof and an Acapulco Gold and two other pedals - super simple and just brutal." In this photo, the Earthquaker Hoof Fuzz pedal can be seen in Bridges' pedalboard. In this Instagram photo posted by Veruca Salt, Gordon's band, her pedalboard is visible. Among the pedals, one of them that can be seen is the EarthQuaker Hoof pedal. Matt Pike had a EQD Hoof. Listed on Chris' official EQD artist page. 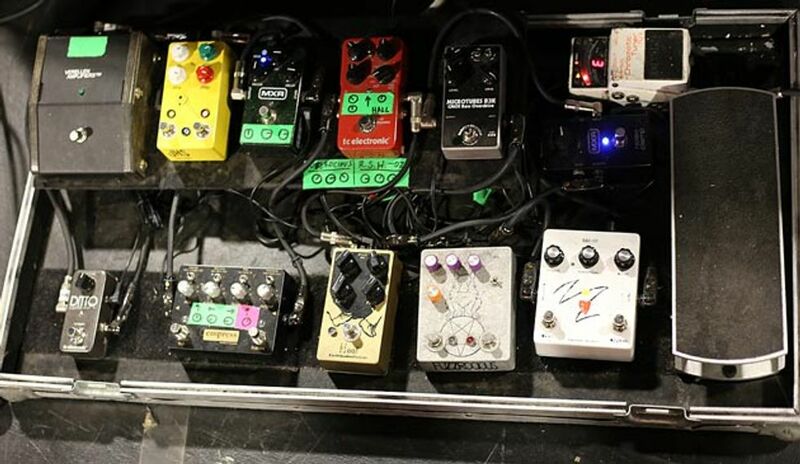 An EarthQuaker Devices Hoof pedal can be seen on Mike Hranica's pedalboard, in his [rig rundown](http://www.premierguitar.com/articles/20659-rig-rundown-the-devil-wears-prada). According to Royal Thunder's interview with Guitar World, Josh uses an Earthquaker Devices Hoof Fuzz. Starting around 3:50 in this interview from 2015, Tim Showalter begins breaking down his pedalboard. At around 4:27 he points out the Hoof. 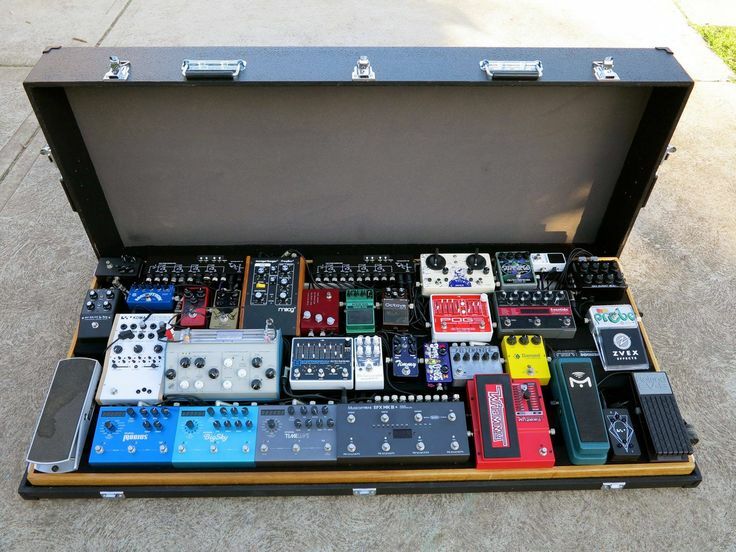 An image of Wil's pedalboard posted on Twitter shows an EarthQuaker Devices Hoof. From a Gear Gods interview in 2014. ”This is generally my main distortion or fuzz.” at 1:24. According to Premier Guitar's Rig Rundown with Citizen, Ryland uses an Earthquaker Devices Hoof. Interview with the guitarist Paul Michael Davies here. This image of Lee's pedalboard shows his EarthQuaker Devices Hoof. Listed on Joey's official EQD artist page. Lots of tones that you can dial in. Very defined sound compared to other fuzz pedals i've heard of tried. I have tried so many fuzz pedals and I keep coming back to this, it just sounds awesome no matter what you do with it and is capable of SO many different sounds. This germanium fuzz pedal allows me to reach numerous grungy tones, very similar to the EHX Russian Muff. great bass OD and fuzz tones. Bought it to replace a tubescreamer and I have not looked back.